I will be attending the following conferences and book shows this year: perhaps we will see you at one of them? If you would like to place an order from the following two lists, and let me know in advance, I will deliver the order at the show and save you postage, which can be substantially especially for the Lost Treasures from the Pulps. The Windy City Pulp and Paperback Show in Lombard Illinois, 15-17 April 2011. 40th Anniversary of the death of August Derleth, in Sauk City Wisconsin 4 July 2011. Pulpfest 2011 in Columbus Ohio. 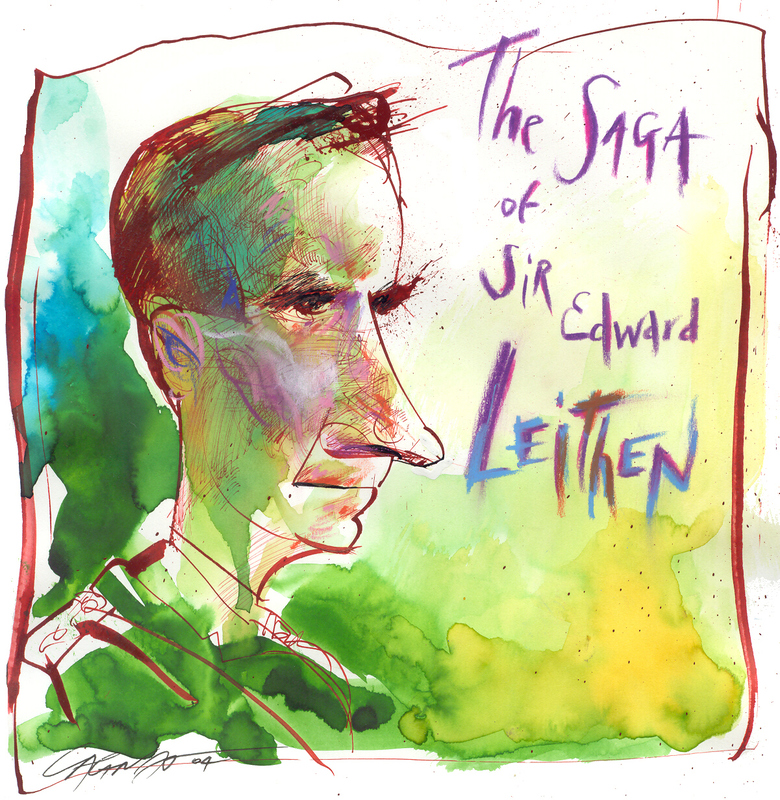 29-31 July 2011.
Who is Sir Edward Leithen? The Complete Adventures of Richard Hannay Vol. 1 (Buchan) ISBN 978-1-55246-???-? Adventures of Mr. Dickson McCunn and Other Swashbucklers Vol. 3 (Buchan) ISBN 978-1-55246-???-? The Historical Novels Vol. 4 (Buchan) ISBN 978-1-55246-???-? Early in 2010, I received a manuscript of ghost stories in Danish from an enthusiastic member of The August Derleth Society, one Estrid Balslev. Although I couldn’t understand a work of it, I suggested to the author in an e-mail, that if she translated it into English, I would submit to the editorial board — The Sacred Six for consideration. The English translation arrived a couple of weeks ago as an E-mail attachment. John Robert Colombo has reviewed the manuscript for esl’s (English as Second Language) and this process is now complete. Estrid’s colleage Neils Reiter has send along a proposed cover illustration and here it is. Patricia Visneskie has almost completed the cover, and the text is ready to go to press. I am waiting for CIP data from Ottawa. When I was first invited to attend a Gaudy Night at Massey College some five years ago now, I enjoyed it very much. One of the memorial highlights of the evening was the Master’s bedtime story featuring his trials and tribulations with the various animal kingdoms resident in the college. John Fraser, the Master has now collected all his stories into a volume, and it will also include a story scheduled for December 2011. I understand, but have yet to confirm that the resident animal will be a moose. Perhaps that is because Charles Pachter’s fanciful cover contains a “Where’s Waldo” Moose. 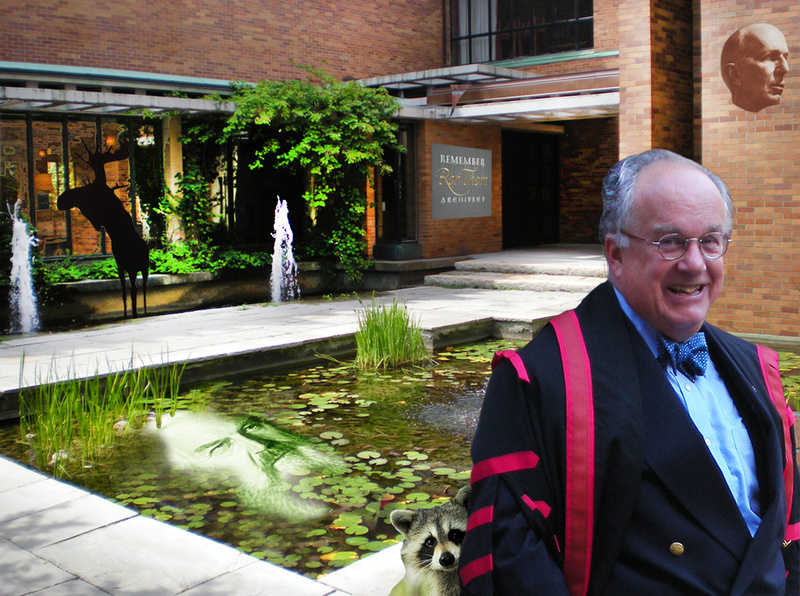 John Fraser has followed in the footsteps of Robertson Davies, the first Master of Massey College founded in 1962. DAvies used to relate a ghost stories, and these too were subsequnetly colelcted. It is important to note that the College will celebrate it’s 50th birthday in 2012. This book is a work in progress, but here is thumbnail portrait of the wrap-around cover which every friend of Massey will recognize the reality and the whimsey. Or is that Lord Wimsy? Isn’t he the character who solved the Gaudy Night Mystery by Dorothey Sayers? — but I digress. This is a collection of Sherlock Holmes scholarship from Australia. It went to press last week, and I am about to view the proposed cover. 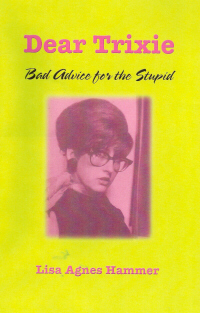 The art work for the cover was created by Tom Roberts of Black Dog Books. It might benefit from an Index, but the Table of Contents will have to suffice. This is book of Sherlockian scholarship. Many of the Biblical references and footnotes are beyond my comprehension, but it is certainly thought provoking. The project is almost ready for press. Some additional illustrations by Tom Artis are on the way. With a little luck and coordination this book will launch at The ACD/Sherlock Holmes Symposium in Dayton Ohio on 13-15 May 2011. 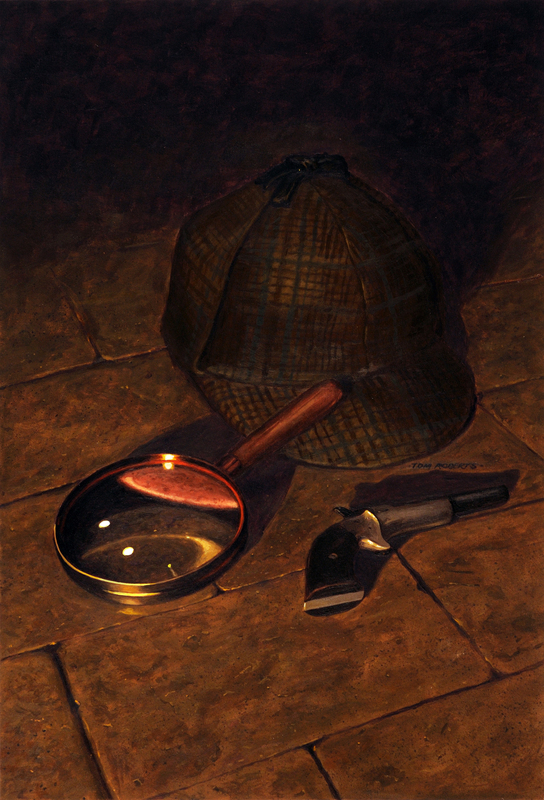 Check Ron Fish’s Sherlock Holmes Calendar website for details. This is a small collection which collects the pastiches which are interesting and charming. Many of the stories have been collected in anthologies elsewhere. The original book illustrations are included, and a portion of one forms the cover. This will likely appear in 2011. This is the second volume of crossowrds and acrostixs by Franklin Saksena. This publication has been delayed for over a year since I was frustrated with the formatting of the double lines necessitated with the acrostixs. I am sure there is an easy way to do it, but I never could find it. This volumes was launched in New York City on the BSI weekend at the beginning of January. Don’t buy this unleass you already have the first one. This volume uses many of the illustrations by Paul Churchill that originally appear in the first colelction as well as the cover in maroon instead of hunter green. This story is the third in a series. The first two are The Adventure of the Two Coptic Patriarchs and The Adventure of the Victroian Vulcan. This is a four collection of short stories on the drawing board entitled The Wheat and the Chaff. I personally have never been a fan of pastiches, but I do recognize the compulsion of every Sherlockian, big and small, young and old to emulate the story telling of the Literary Agent. I even started to write one once, only to discover I can’t write my way out of a wet paper bag! The wrap around cover is a delightful interpretation by Laurie Fraser Manifold of Sherlock and Watson taking an Air Balloon ride. It is a wrap around and a delight to behold. This volume also rolled out in New York in January 2011. John is a Holmes and Doyle scholar who has travelled extensively in England to compile this comprehensive volume. The cover is a evocative photo of Dartmoor that the author took himself, and provides an appropriate visual image for the title. The text takes my good friend to task for his selections of canical localities. But it is all part of the game — I think! This is another volume of fact and fiction by David Hammer. He takes dead aim at some of the high profile characters in the cult (better to say hobby) David has the unique ability of expressing his opinions in words in a very engaging fashion. This ability has undoubtedly served him well in the courtrooms of Iowa over the years. I have reworked the art work of Jean Pierre Cagnat for the cover; it features Monsieur Hammer hanging by a rope impaled with various instruments of death. If you don’t like what David has to say, you will certainly enjoy the cover. The book is about to go to press, after a final proof reading by David. 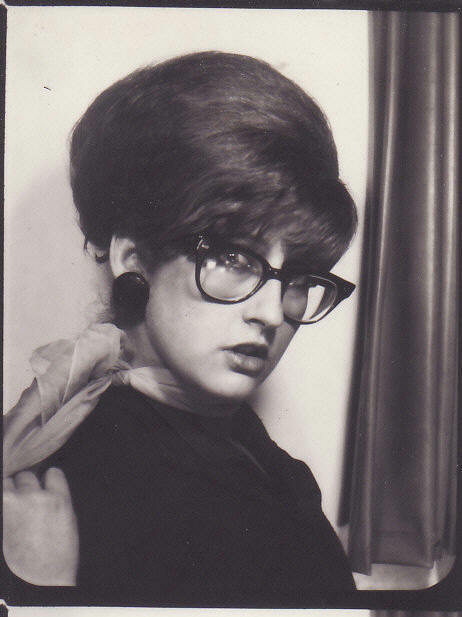 This project was also instrumental in another book project coming my way. In brief, David had written an essay on the demise of Richard Lancelyn Green. David had previously offered the manuscript to the Wessex Press and it was rejected based on the manuscript containing the RLG essay. When Jon Lellenberg heard that I was now considering publishing the manuscript — with the RLG essay, we (Jon and I) had a series of telephone conversations in which a law suite was alluded to more than once. I’ll spare you the details, but the results; David agreed to withdraw the essay altogether; and Mycroft and Moran published Baker Street Irregular. David also did a major rewrite of his essay on Wiggins and The Baker Street Irregulars. In my opinion, David remains highly critical of the irregular organization and I predict it will be increasing difficult for those Irregulars who are “low-bridging” it; and also increasingly easy for those irregulars who are attempting to “low-bridge” it as well.